Creative Space: So… You Want to Start a Band? 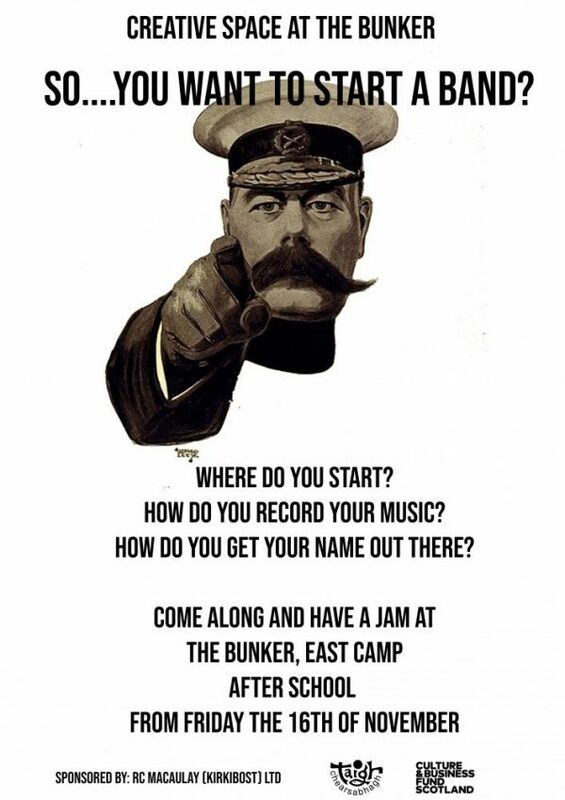 As part of our Creative Space programme with pupils at Sgoil Lionacleit, we will be hosting a series of “So… You Want To Start a Band” sessions at the Bunker at East Camp! We will cover everything from how you would actually start a band to designing an album cover. These sessions will run on Fridays after school and will continue until 4:30 pm. The sessions will be led by a tutor with experience in playing across many genres: rock, jazz, trad etc. This is open to all pupils at Sgoil Lionacleit who are interested in being in a band no matter what genre! Trad to Thrash, anything goes.